App design done while at space150. 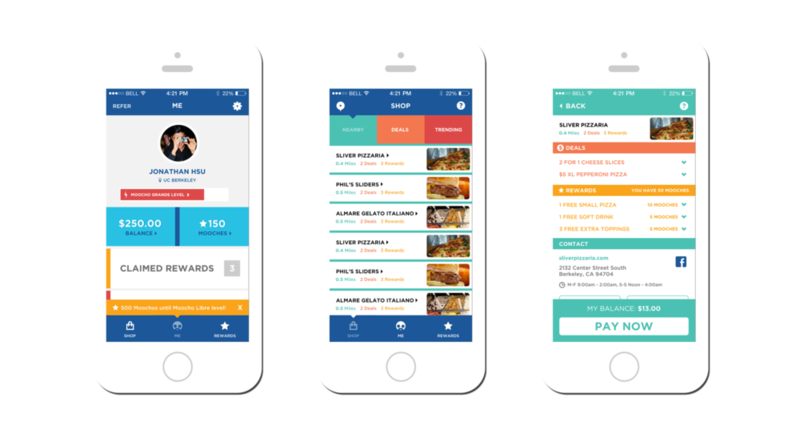 Moocho is a rewards and payment app aimed at college students. Their look was dated and created a barrier to adoption. I designed a new look and feel and streamlined the user experience. Together with my team, we also improved Moocho's business model. I also designed the initial pages of their new website.